As opposed to Strip Mahjong, Sega? Mahjong and Tsumeshogi may have been filled with katakana, but the amount of text didn’t prevent me from playing either title. I stumbled my way through both games with limited understanding of Japanese and enjoyed myself within reason. But Home Mahjong? Lord help my lack my comprehension. The menu options are clear enough: two players can mahjong royale against each other; or two players can unleash the beast on one-to-two computer opponents; or one player can prove he’s the best (around) on three computer opponents. If you’re hittin’ the mahjong tiles solo, the latter option is your only choice, which is kind of a drag if you’re a tired American emulating a thirty-year-old Japanese mahjong game and you want to take things slow. Whenever you play the computer, you select what I presume is the difficulty of your opponents. There are ten choices on the computer difficulty screen, all of them mountains of text that I couldn’t read. Once you finally reach the table, a chipper musical ditty informs you that mahjong is about to begin. Thanks to my time with the original Mahjong, I felt somewhat at peace playing mahjong, though being forced to battle three skilled computer opponents did set me on edge a little. As I played, I noticed that every time you placed a tile, the cursor moved to a range of options in the middle of the screen. The options included “Kan,” “Chi,””Ri-Chi,” “Agari,” among other phrases that I had never encountered in my previous mahjong excursions. Every time I selected one, an angry noise informed me that I was in the wrong. I decided to ignore the noises and play mahjong as best I could. Which is to say, not very well. Yup, that’s whatever you’re talking about for you. I take solace in the fact that Home Mahjong was not developed for American consumption. 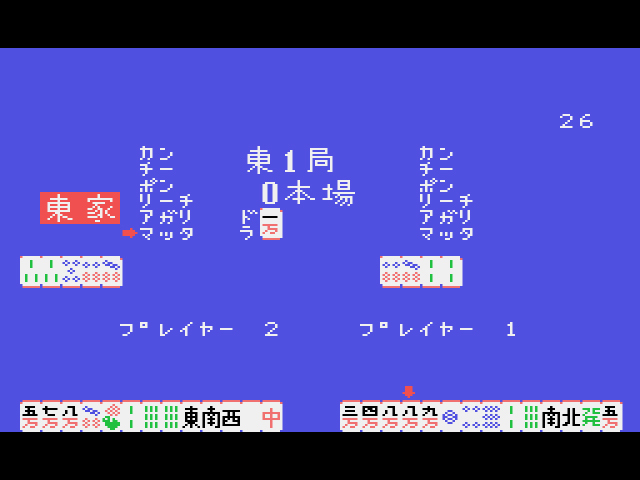 Home Mahjong was made for mahjong-loving, Japanese-comprehending SG-1000 owners in 1984. Though I don’t pretend to speak for that demographic, I’d be surprised if the game was considered a failure. 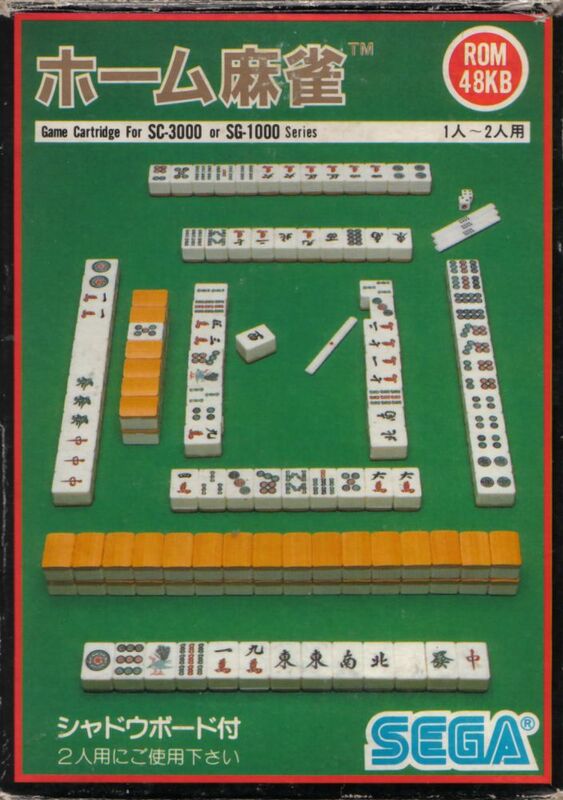 Compared to the original SG-1000 Mahjong, which was limited to one-player versus the computer, Home Mahjong is a whole new world with magic carpet rides and a lack of daring to close one’s eyes: four different styles of play, including two-player competition, along with computer-oriented options that may or may not have to do with the difficulty. The mahjong royale of the millennium. I can’t hate on Home Mahjong just because I don’t understand much of what’s presented. If anything, this minor entry in Sega’s catalog is a taste of what’s to come. There will be hundreds of Japan-only games I struggle with in the following years, particularly RPGs and strategy titles. Will I ganbatte kudasai? Until the ends of the earth, or at least until I encounter a Japanese text-only Koei game. I find it simply amazing that you’re reviewing these Mahjong games. You obviously know the game, where did you learn it? My only knowledge of it is from HK cinema, ie: God of Gamblers… but I never dove that deep into the actual game. Just as impressive as your willingness to give early Koei games an actual play through. You might not get much commentary on these type of games, but you deserve mad props for these reviews. Thanks man! I don’t know how to play mahjong that well, just well enough to squeeze through these games. Unless, of course, there’s a bunch of Japanese text, then I just hope to God I pick the right options. Thanks for the in-depth review. There aren’t a lot of people talking about 8-bit Mahjong games. It’s such a shame that this title was never translated to English. That two-players on one screen mode is unheard of. Romhackers are completely uninterested in SG-1000 games, so I guess we’re stuck fumbling around. 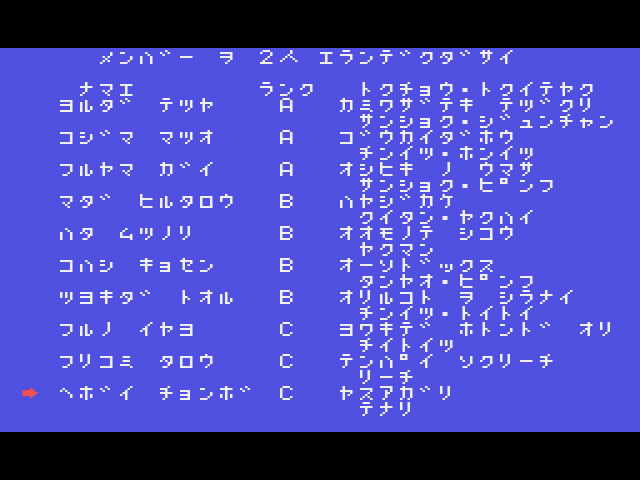 At least we have 4-Nin Uchi for the Famicom translated to English. You’re welcome! These old mahjong games aren’t the easiest to play, but I enjoyed them in a “what the heck am I doing” sort of way.